Tim Etheridge from Proenergy was approached by The Salvation Army to look at a number of their properties, with a view to rolling out an LED lighting up-grade. Their aim was to reduce their energy bill and eliminate the constant replacement of lights. 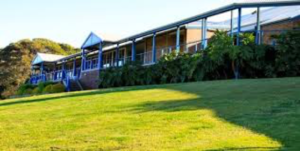 The Collaroy Centre is a conference facility on a 10 acre site overlooking the Collaroy beach. There are 60 bunk rooms and 30 hotel rooms on the site plus dining rooms, conference rooms, a lecture theatre and a gym. The project got under way in November 2015 and took 2 months, with a break for Christmas. The Collaroy Centre was busy at this time, hosting children from around the State. The conference and hotel rooms were also often in use. This required Tim from Proenergy to not only design and specify the job but also to be the dedicated project manager. We had to ensure the job did not interfere with the smooth operation of the Centre. The Dining Rooms and Lecture Theatre had 50W halogen down lights that ran hot and often needed replacement. SOLUTION: 7.5W LED down lights . Cabin bunk rooms had traditional twin fluoros, some with Emergency circuits. The ceilings were fire rated and had double thickness plasterboard. SOLUTION: Specialised fire cones needed to be retro-fitted to allow the 20W down lights to be installed. This means no more breakages from flying pillows. The Reception Lobby had CFL down lights, that used 60W each. SOLUTION: We installed a new generation of Colour change 12W down lights. This allowed the General Manager to get exactly the colour tone and brightness he wanted, to make guests feel welcome. The Chapel had several 250W metal halide shop lights . SOLUTION: We mounted 4 CGS 48W LED floodlights that filled the space with even light. The Pathways had poor illumination levels and so we installed six 50W LED floodlights that now provide excellent all weather circulation lighting. The payback calculation is JUST for the energy saved. The Centre maintenance staff are no longer swapping tubes and globes every day. Their Emergency lights have battery moulded which can be replaced by a non-electrician, so the need for electrical contractors has been reduced significantly.